Stylish fast food units with seats in a contemporary Zebrano finish and high-performance Werzalit laminate tops in White or Beech. Powder coated Silver frame. 15 - 20 day lead time. 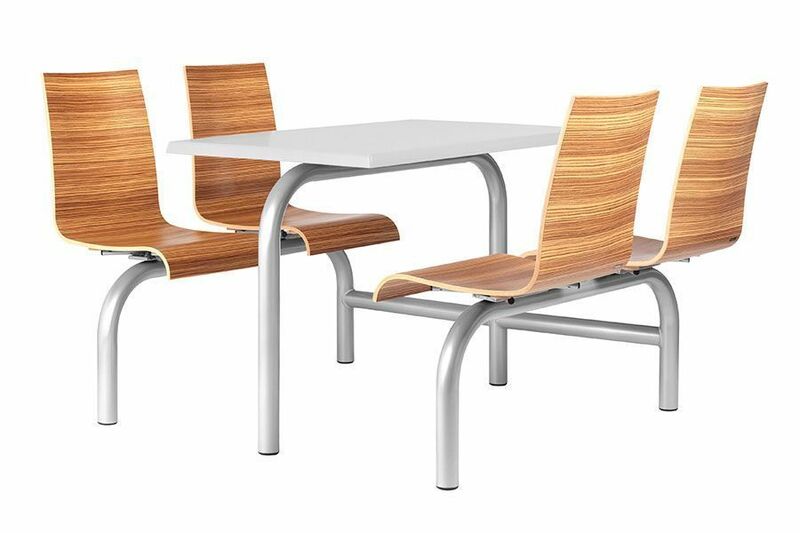 Alternative style Zebrano seat fast food unit with a fully welded frame. Designed for an upmarket eatery, sociable area. Expect a lead time of up to twenty working days from order.